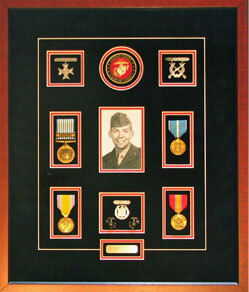 Military Memorabilia Framing - by Tamis Fastfrrame Frame Shop and Custom Framing Service. Tami does the best framing for the price. Her pieces always look great upon completion. I would recommend this shop for any framing job.